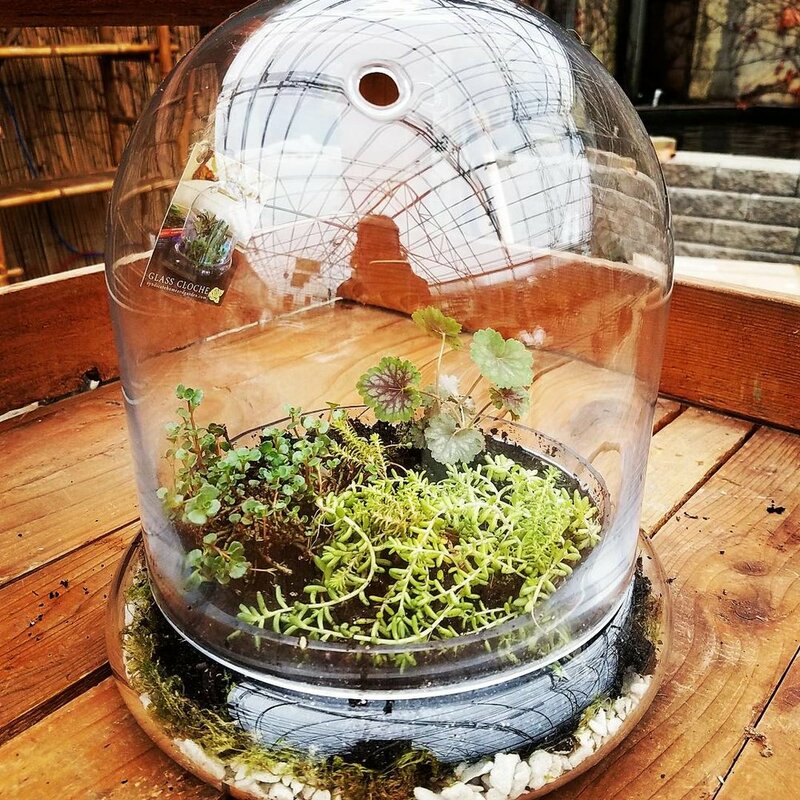 DIY Terrarium Planting Night — Masterson's Garden Center, Inc. Put on your crafty pants, grab a bottle of wine, and come plant with me! Every design magazine I've seen lately has terrariums and succulents featured prominently...so naturally I decided I needed more terrariums in my life. We have a great selection of these beauties in stock now, just waiting to be planted and taken home with you (because I can't take them all). The class fee includes instruction, planting materials (rock, soil, and moss) and plants to design your own terrarium. You can either bring your own container or purchase one from our assortment. (Containers range in sizes and prices, from about $8 to $50). Class fee can be paid at the door but space is very limited, so pre-registration is required. Please register by filling out the form below.